For over 80 years Timsons Engineering based in the east midlands have been successfully providing subcontract engineering services supported by a highly skilled, experienced workforce that understands the high-accuracy, on-time delivery demands of today’s market. Timsons Engineering’s subcontract engineering services offer a diverse range of premium quality castings in various weights from 1kg to 2.5 tonnes plus a CNC machining service that can accommodate every casting poured. 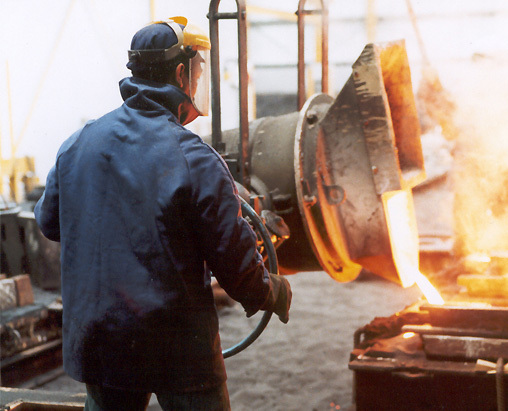 The iron foundry facility has two modern electric induction furnaces designed to produce high quality castings in small to medium batch quantities in all grades of grey iron, SG iron and Austempered Ductile Iron. Quality is assured. We hold accreditation to ISO 9001:2015 for both our machine shop and our iron foundry. We offer 100% inspection of all components and have co-ordinate measuring, balancing and gear inspection equipment. Timsons Engineering iron foundry and machine shop are available as separate services, or can be combined to provide finished components, offering a comprehensive professional on-time service to the engineering industry. The manufacture of close tolerance components, from raw material, castings, fabrications and forgings for use in precision assemblies is our speciality. Small components are manufactured using a variety of CNC machine tools, which includes vertical machining centres, horizontal and vertical lathes. Large components are manufactured using our five axis machining centre which has a twin pallet horizontal borer and other large CNC milling and turning machine tools. Timsons Engineering offer a “one stop shop” for all your subcontract casting and machining needs.